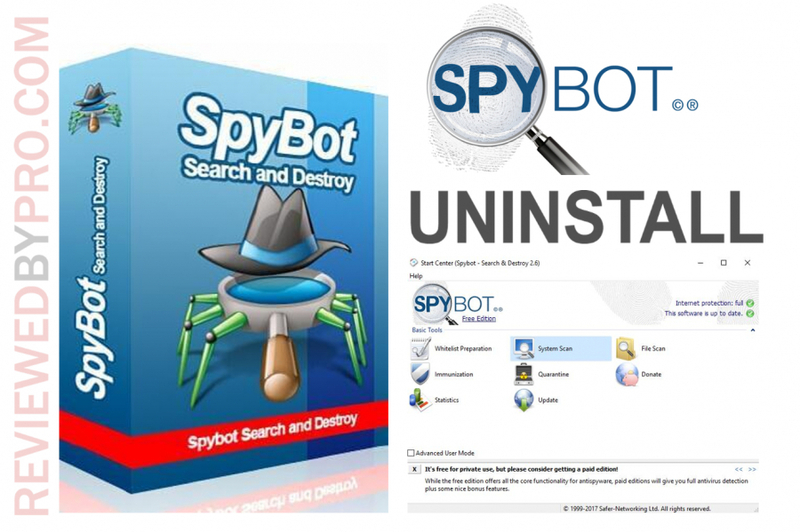 Here you can see the user manual on how to uninstall SpyBot from the PC. This tutorial is easy and all the steps are provided, so don't worry – anyone can do it. 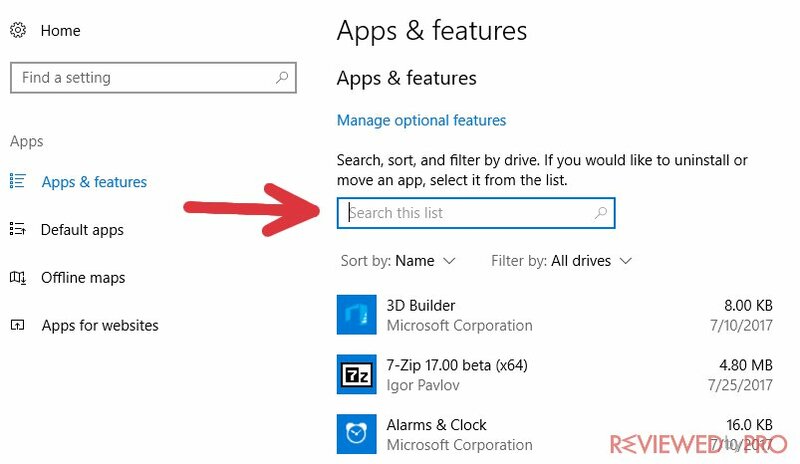 Keep in mind that these instructions are created for the Windows 10 operating system. However, they might as well work with other Windows versions. 1. Firstly, in order to remove SpyBot from Windows 10, close the application. If you don't do it, it will be impossible to delete the app. When you close the anti-virus application, navigate to the bottom left of the screen and click the “Windows” button. 2. Then you should see a button with a “Gear” icon. You can see a picture of this button below. You will then be redirected to another page of SpyBot uninstallation. 3. 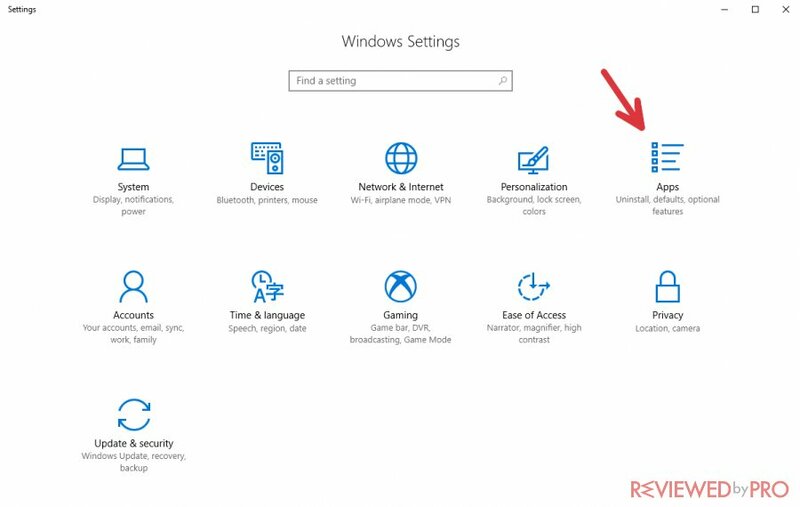 Now you should be on the Windows system settings page. Locate a button that has “Apps” written on it. You will then be able to continue uninstalling SpyBot. 4. The computer will load all the installed software list. This is a list of all the programs installed on your PC. Find SpyBot by either scrolling down the list or locating it by using the search bar. We would recommend you not to waste your time and use the search function. 5. Press on the „SpyBot“ logo and the line will expand. 6. Here you will find two buttons, which were previously hidden: “Modify” and “Uninstall”. “Modify” is used for making changes regarding the program installed. 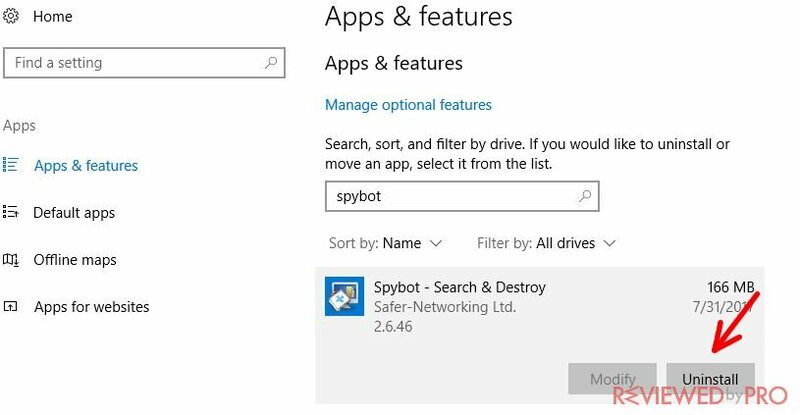 Now we will need the “Uninstall” button to eliminate SpyBot from the Windows 10 system. 7. 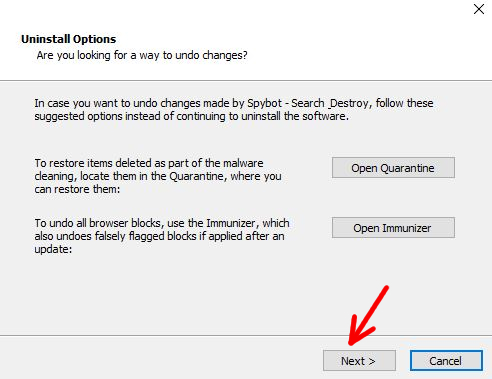 After clicking on the “Uninstall” button, the PC will open another window with the question “Are you sure you want to remove SpyBot?” Press “No” if you have changed your mind, and click the “Yes” button if you agree to uninstall SpyBot. 8. 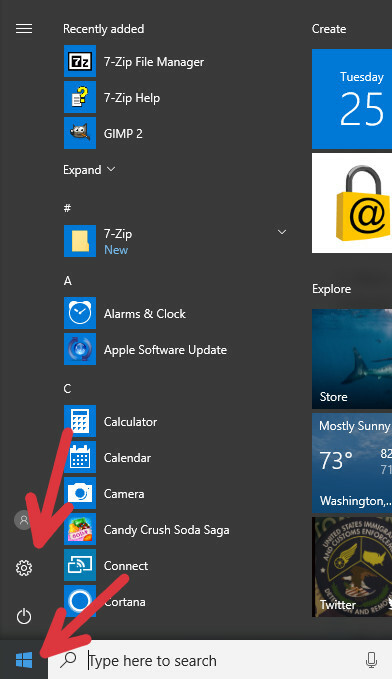 One more window will appear with two buttons: Cancel and Next. Press “Cancel” if you don’t want to uninstall „SpyBot“, or press “Next” if you are sure that you want to uninstall the software completely from your Windows 10 operating system. The Uninstallation Wizard will offer you two more choices before uninstalling the app: “Open Quarantine” if you want to restore the files that the program deleted, and “Open Immunizer” in order to unblock the websites, previously blocked by SpyBot. These are optional, and you can move straight to “Next”. 9. 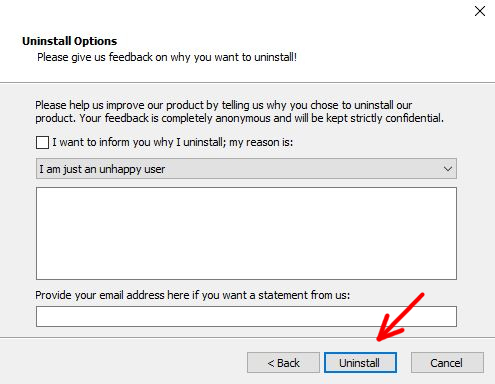 Here you can choose the reason for the uninstallation from the list. If you want a response from the creators, you can type in your email address. 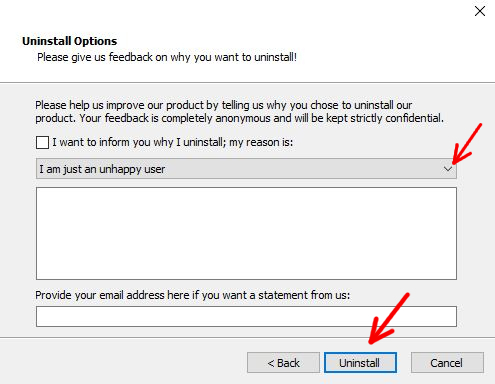 To finish the process, click “Uninstall”. 10. At the end of the process, just click “Close” and you will finish SpyBot removal. Congratulations! You have uninstalled the antivirus application from your computer. We hope that this user guide resolved your problems.